What is Full HD TV? Enjoy a greater level of home entertainment realism than ever before with Samsung Full HD (High Definition) TV. Now you can experience rich and vivid texture of full HD images, your favorite programs and movies on your Samsung full HD TV . 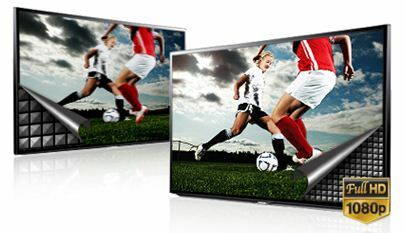 ● Full HDTV, also referred to as ultra-HD, true HDTV, and 1080p, is a television (TV) display technology that surpasses the video quality and sharpness of the original high-definition television ( HDTV ) technology, providing an image resolution of 1920 by 1080 pixels. ● It has widescreen aspect ratio of 16:9, implying a resolution of 1920×1080.